While some men are blessed with a hairless body, more often than not, men struggle with unwanted body hair. More and more, men are embracing laser hair removal. An effective alternative to other hair removal methods, laser hair removal proves itself to be a versatile, efficient, and relatively painless treatment. Men coming to our Virginia Beach office often seek out hair removal for trouble areas include large spaces like the chest, back, and abdomen. For others, it might be a smaller, more concentrated areas like the face, back of the neck, the neckline, and the so-called “happy-trail”. Other areas include the upper and lower arms, buttocks, and legs. As “man-scaping” becomes more popular, men are increasingly choosing laser hair removal for their pubic region. When it comes to body hair, research shows that men are feeling the pressure to be well-groomed. A study put out by Mintel shows that half of the men polled admitted that these days—when it comes to their body hair—they are expected to be well-kempt. At 70 percent, the majority of men had removed hair from their bodies in the last year. Where are men most commonly removing hair? Topping the list at 29 percent, men most often remove hair from their pubic region. This is followed with 13 percent of men citing their chest, 12 percent citing their underarms, and 9 percent citing their backs. Not surprisingly, younger men feel more pressure than their older counterparts—with nearly 60 percent of 16 to 24 year-old reporting they are expected to be hair-free while only 22 percent of those over 65 do. Any man with excessive hair growth is a good candidate for laser hair removal. Working with you, Dr. Vendetti will establish a treatment plan that is specific to your skin’s needs. Making for a comfortable and discreet treatment, the laser beam selectively targets the hair follicle, leaving the surrounding skin left undamaged. Designed to be a lunchtime treatment—you are able to quickly return to your daily routine. Summer is just around the corner—be hair free and ready to show off your body. 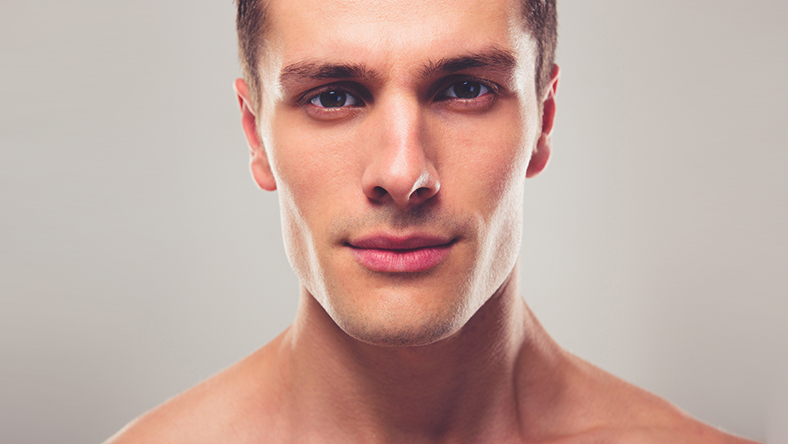 Smooth to the touch—laser hair removal makes a man more comfortable and confident in and with their bodies. Say goodbye to unwanted hair with Dr. Vendetti. Contact Virginia Surgical Arts to set up your private and personal laser hair removal consultation.